Sometimes when you are tired of work and daily routine, all you need is just to relax. And that evening you go to your favorite pub and suddenly realize that you don’t need much for ordinary human happiness - a glass of foamy golden beer, a portion of incredibly tasty red crawfish, a couple of delicious sausages and several rounds of “21” or “Fool” with friends. If you are also tired of problems and worries, we are happy to invite you to our wonderful “Local Pub” - the best place not only for relaxation, but also for great wins! In the “Local Pub” we are happy to offer you everything you need for a wonderful mood: you will find snacks of all kinds and beer never stops flowing here. 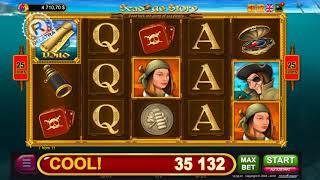 All that – it is bright and original symbols of the online slot. 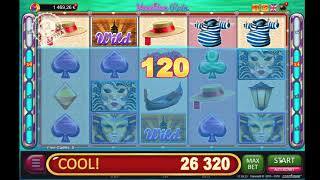 It is very easy and a great fun to play online slot machines for free! Besides, you can do it right here and right now on our website. 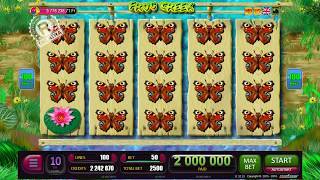 If you want to play online slot machines for real money, you can always find BELATRA’s slots on the websites of many online casinos. To have a few glasses of beer is not a problem, is it? Then, why don’t we raise the stakes? Will you dare to drink a lot of Russian Vodka? In this game “Russian Vodka” is a scatter symbol. If 3, 4 or 5 scatters appear on the reels, they will trigger free games. Fifteen free spins will be awarded immediately, afterwards everything depends only on your firmness and your luck, of course! Drink as much Russian Vodka as you can, catch new scatters and add 15 free games for each set of these super symbols. The main feature of the free games is a huge glass of beer. It occupies the last two reels and it is a wild symbol that replaces any symbol to crate the successful winning combination. Would you like to play a round of cards? You want something simple, but with big wins, don’t you? There is nothing easier! In the game “Local Pub” you will find a card double with the dealer. Guess which of the cards lying face down on the table turns out to be higher than the dealer's open card. 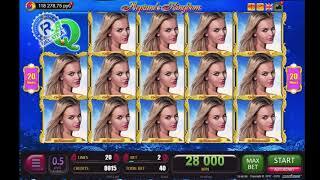 If Lady Luck smiles on you and you make the right choice, the win you received will be doubled! To put a fine point on this evening, we offer you a super bonus - Jackpot “Wheel of Fortune”. For each spin in the main game you will get JP points. And as soon as the indicator at the top of the screen is full, you will see two wheels of fortune. Spin the wheel and take part in a win-win draw! On the first wheel you can win extra JP points, the win multipliers (while playing other BELATRA’s online slot machines) and the main prize - move to the second wheel for the jackpot draw! “Local Pub” - spend an evening in relaxed and comfortable atmosphere of the best online pub!